In March 2016, Dublin City Council tendered for a study on creating a cycling corridor that Fine Gael Councillor Paddy Smyth had envisioned. 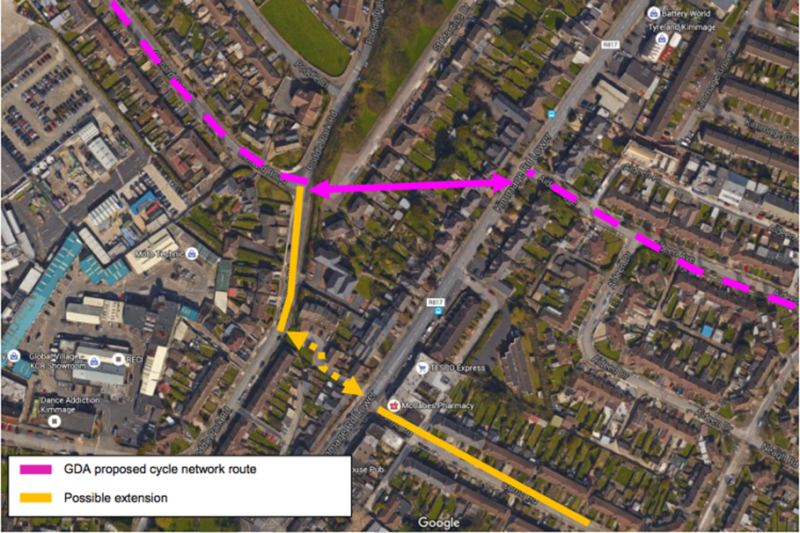 This proposed “quietway” from Donnybrook to Kimmage was aimed at reducing “rat-runs” by vehicles cutting through residential areas rather than using main routes. It would provide routes for cyclists and pedestrians, away from fast-moving cars, mainly through residential areas. 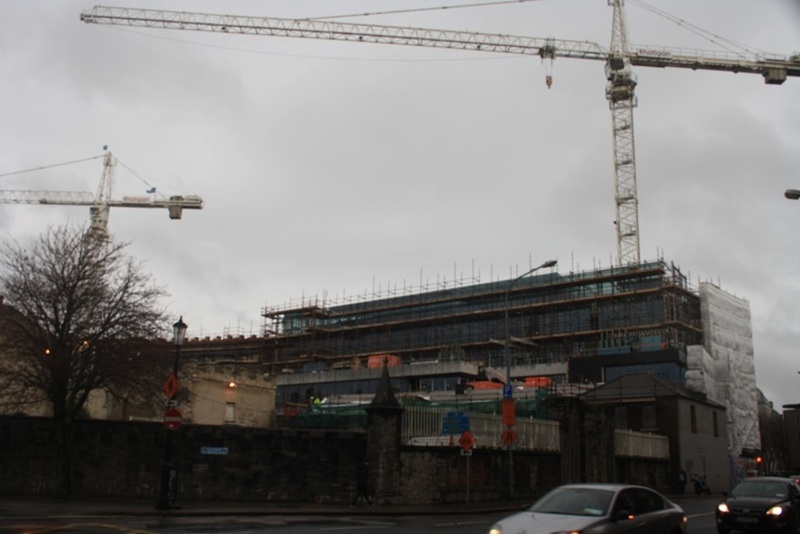 So what became of that study, and how are plans for this corridor progressing? According to Smyth, the quietway has been delayed for two reasons. The first is an issue of staffing at Dublin City Council. The feasibility study is now complete, says Smyth. But now it’s over to the council’s roads and traffic department, and they’re quite busy. The council’s press office says the project is still a runner though. “A potential route for the corridor has been identified that requires a series of interventions to the existing environment,” according to a spokesperson in the press office. 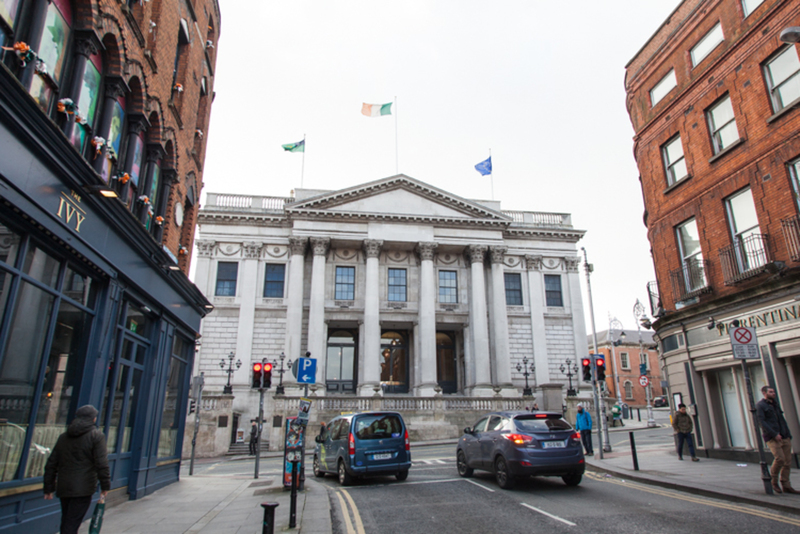 “Dublin City Council supports any initiative that increases cycling and walking and opportunities to segregate vulnerable road users from main vehicular traffic,” the spokesperson said. Smyth sees the project in two phases – phase one from Donnybrook to Kimmage, and phase two from Kimmage to Drimnagh. This second phase could link up with the Grand Canal Greenway. Quietways make sense, says Cian Ginty of IrishCycle.com. The key to making them successful, says Ginty, is reducing traffic-flow to local traffic only, eliminating rat-runs. Ideally, Ginty says, changes should be made to the built environment in residential areas to make this happen. That could mean closing off roads to vehicular traffic, or putting in speed bumps, for example. The engineering firm AECOM was commissioned to complete a feasibility study for Smyth’s proposed quietway last year. It recommended a preferred route. Section 1 would run from Herbert Park to the Cowper Luas stop, section 2 would run from Cowper Luas stop to Terenure Road North, and Section 3 would run Terenure Road North to Corrib Road. The original proposed route recently came up against opposition from residents at Frankfort Avenue, says Fine Gael’s Smyth. That’s the second reason the project is delayed. The new proposed route bypasses that spot. Smyth has now scheduled a public meeting about the quietway for 28 March, in the parish hall of the Church of the Three Patrons on Rathgar Road at 7:30 pm. As Ginty of IrishCycle.com sees it, often residents will approve of a quietway once it’s in place. Because the scheme will have a significant impact on traffic movements along the route, the feasibility study recommended that a traffic study be carried out. But with a lack of council resources, the process has been slower than hoped, says Fine Gael’s Smyth. He’s confident the project will continue to move forward though. Smyth says he wants everyone to have their say, but the benefit of reducing rat-runs, he argues, far outweighs any local complaint. The quietway design may add to a motorist’s commute at times, by blocking certain access points. “But it’s up to me to try and convince people that that outweighs any relatively minor inconvenience,” he says. “We need think about the wider community. We need to think about the safety of children and we need to think about long-term health,” he says. I’m sorry but these are just a distraction – ineffective and diverting funds away from where most people walk/cycle. Relegating people to back lanes says it all! dog-dirt, broken glass, no lighting – unsafe places to be. Why spend money here? Many thousands more travel on the main roads which are in desperate need of measures to make them safer places. And its where all those people using a residential street to get to work/school/bus stops/shops will end up travelling along!! “dog-dirt, broken glass, no lighting” doesn’t describe The Metals, which I think is one of the best cycling facilities we have in Dublin. Anyway, I’m getting a 404 on the PDF download, Cónal. Could you check the link? Sorry about the broken link. I think we’ve fixed it now. It is amazing just how much persistent traffic noise there is practically everywhere in Dublin – try listening to a podcast and walking around the city – it is near impossible. It really makes you aware of just how cars and buses have taken over every side street in the city, even in the suburbs. The idea of ‘filtered permeability’ would seem to be a better solution if they are trying to eliminate rat runs and slow traffic down. it is far too easy to make runs through estates and side roads and not come up against impediments. Just putting a cycle lane through the area doesn’t solve anything- the road structures need to change. This is a terrible idea, it will just force more traffic into returns and create increased dangerous bottlenecks on other roads. I live on Ashfield Road, already a car park between 8 and &amp; in the morning. Increased traffic forced there by closing neighbouring streets will make this much worse, and be hugely dangerous to the many children who live, play and use there as a route to school. Hopefully the people sitting in that car park on their own will have time to ponder how driving a private car into the city every morning and out every evening is a daft idea and very obviously unsustainable. Until they get the message, make ’em wait. Fantastic idea. In my opinion Kimmage / Crumlin are far too car-dominated. Rat runs everywhere, cars parked on pavements. It’s down to 2 reasons – poor permeability of these areas, and very little practical alternative – cycling is too dangerous for many to consider. Stop cars being able to use the rat runs, ban cars from pavements, improve pedestrian and cycle permeability (CPO if necessary) and these places will transform for the better. @David A: Cycling is perceived as being dangerous, but that’s not borne out by reality. @Cllr Paddy Smyth: Great! 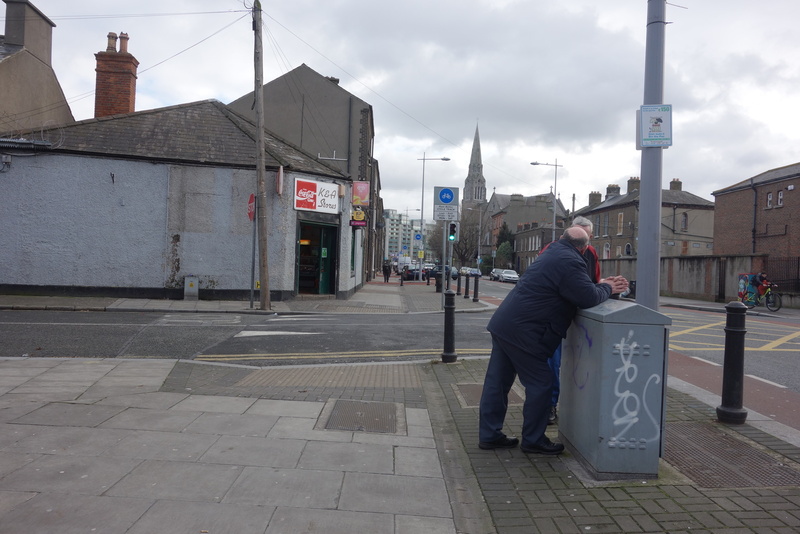 BTW you should consider looking into the myriad of wasted long back lanes in D6 and other areas and putting them to some kind of use. A few are overgrown in parts allowing no through access, but there are still loads that no one uses. There are also a lot of thin strips of dead laneway type land I notice that connect areas but are locked off and not used. 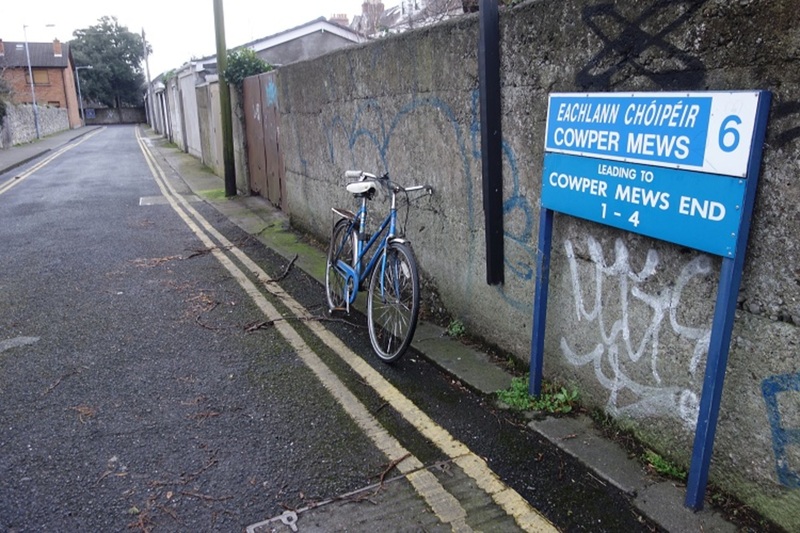 One near the Cowper Luas line – Merton Road is an example. Why this isn’t turned into a mini public park or allotments is beyond me. @David A: Indeed – and you could write a book on the terrible evolution of the ‘Irish Town’ – always basically built up on a busy through road or junction rather than self enclosed around a plaza or square like Italian, European, English town designs etc., We generally seem to be way, way behind when it comes to urban/suburban design. I don’t agree with more money be spent on making busy roads safer for pedestrians and cyclists. Dublin roads are just too narrow to make them multi purpose with dedicated cycle lanes, bus lanes and car lanes and anything that can be done has been done. The danger and frustration experienced by all current road users lies in that mixed use with the needs of each group often competing with each other. Roads were purpose built for cars and as they are funded by tax payers for that purpose they must remain open primarily to vehicular traffic. Free movement of goods and people outside of public transport routes is essential to jobs and prosperity and if we don’t define and defend the primary purpose of the road network it will be a denial of the right to free movement and not a minor inconvenience to some as suggested in an earlier post. Any politician that fails to support that right may be popular locally but will not succeed at a national level. Using the same logic as that used for roads, purpose built routes for cyclists free from vehicular traffic must be funded also and using the rear lanes of the older suburbs in Dublin for this purpose would I think be a fantastic way of reclaiming forgotten areas of the city. Moving on to the notion of quiet ways where pedestrians and cyclists share usage it will be interesting to see how commuting cyclists see the mixed use element of quiet ways and the fact that they are not straight, as many of the most vociferous supporters of dedicated cycle lanes use the logic of road design “the faster the travel the better the route”. Speeding cyclists are right up there along side speeding motorists as a menace to society. Finally I couldn’t agree more with the comments on noise pollution, so many of our urban villages are blighted by horrendous amounts of traffic, narrow footpaths etc. Rediscovering the hidden routes (back lanes of Dublin) will give us all a new perspective on the city and improve quality of life for everyone. @smiller: I bet smiller thinks “road tax” is a real thing. @smiller: your totally factually incorrect and frankly loaded statement “Speeding cyclists are right up there along side speeding motorists as a menace to society” reveals exactly where youre at and negates anyything else you have to say. In regard to permeability, there are neighboring estates that could easily be connected by breaking down silly barriers. One local example: [https://www.google.ie/maps/dir/53… "") – would make the estates less compartmentalized, people wouldn’t have to use the main road (except for cars). Lot’s more that could be connected with a hole in the wall and a bit of paving. 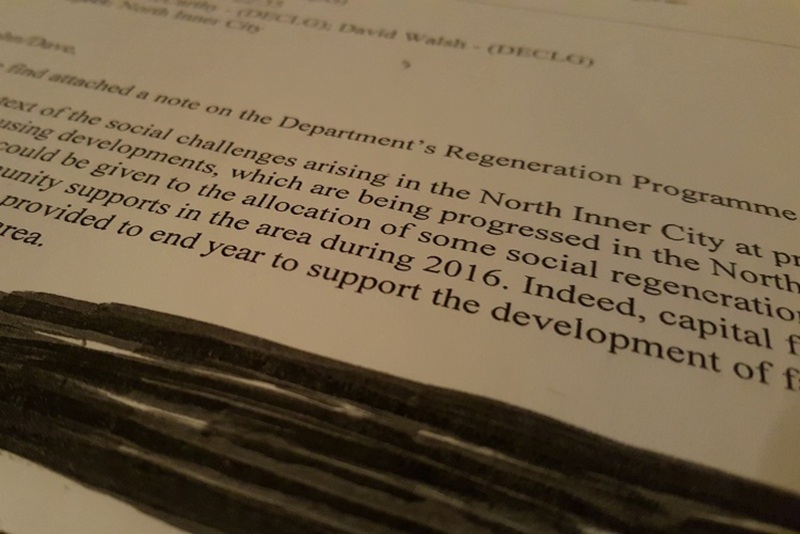 @Marc Evers: Very good point Marc Evers – they should not have been built in such a divisive manner in the first place so where its feasible lets connect these streets allowing some limited and controlled permeability – there must be hundreds of examples across Dublin! What an impact that wound have. @smiller: Roads in Dublin city have ‘recently’ been converted to prioritize cars but they obviously were not laid out with cars in mind (100’s of years ago). I agree that roads in the city do not readily accommodate mixed use – therefore cars should be discouraged from the city centre. You are not stuck in traffic – You are traffic.